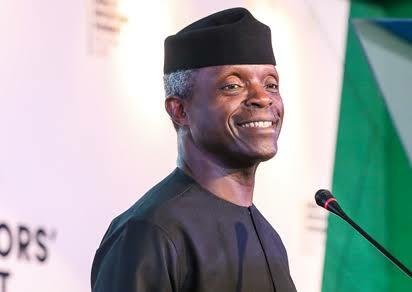 Vice President, Yemi Osinbajo, has said that the nation failed to plan for its future in spite of the fortunes it raked from crude oil sales and other revenue sources under the past government of Goodluck Jonathan. Osinbajo stated this on Tuesday at the opening ceremony of the 5th National Family Planning Conference currently ongoing in Abuja. The VP, who admitted that the current population growth of 3.2 per cent posed risks for the nation by 2030, explained that apart from the economic policies of the past government which were skewed at making lives comfortable to a minority of the nation’s population, the administration did not make adequate family planning commodities available to those who needed them. He said: “In the absence of basic social safety nets, and pro-poor policymaking, tens of millions of our people were left stranded, observing the statistics of economic growth from a distance, completely untouched by it. The sad reality is that for most of our history as a country, periods of economic growth have somehow managed to leave out the majority of our population. “Between 2011 and 2015 when Nigeria enjoyed some of the highest revenues in history, and overtook South Africa to become the largest economy in Africa, there was no commensurate impact in poverty alleviation and improvement of wellbeing. “If Nigeria’s prevailing annual population growth rate 3.2 percent persists, we will have an additional 68 million people by 2030, and will be the third most populous country in the world by 2050,” he said Speaking on the theme of the conference: Investment, Innovation and Inclusiveness, the VP who was represented by the Minister of Health, Prof. Isaac Adewole, said: “This is how I see the three “I’s”: Investment, innovation and inclusiveness are three very critical keys for unlocking the very beneficial contributions of family planning to Nigeria’s ambition of reaping all of its potential demographic dividend. “This demographic dividend is of course the catch-all term for the benefits and potential realizable from attaining the optimal age structure in a population. In the case of Nigeria, this optimal age structure would mean a combination of declining fertility and a simultaneous rise in the working age population. Our main challenge, evidently, is with our current fertility rates.” He said investing in family planning as witnessed under the President Muhammadu Buhari administration has proven to be smart, cost-effective, and life-saving; and is especially critical in a country like Nigeria with a very young and rapidly growing population. He added that estimated 63 percent of Nigeria’s population is below 25 years; with a significant segment of the population being sexually active and needing education and guidance to wisely navigate the issues of equality, choice and contraception. He argued further that achieving the SDGs and Sustainable Development Goals by 2030 depends significantly on how well sexual and reproductive health and rights of women and young people are prioritized. He said the nation must clearly insist on including young people at the very heart of its policies and its deployment of resources to achieve these policies. While urging participants at the conference to develop evidence-based approaches to population management, Osinbajo noted that time was no longer waiting for the nation. “We must act and move fast, because our challenges themselves are not simply sitting and waiting around to be solved. They are evolving and adapting in increasingly complicated forms, and our responses and solutions must keep up. “Family planning and population management generally are not just life-saving interventions but actually critical tools for economic and social development,” he said. The three day conference has representatives of local and international organizations working on family planning, experts from medical field, government delegations among others.